While every position on a football team is important, the quarterback is inarguably the most vital member of any team. Being quarterback requires the most skill, intelligence, and the quarterback needs to posses various leadership qualities. 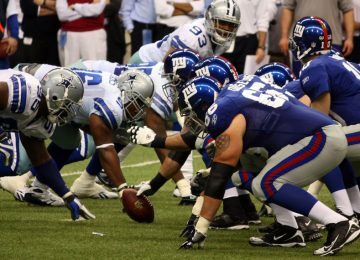 According to one analysis, the average age of an NFL quarterback is in their early to mid-30s. Every single one of the quarterbacks on this list far surpasses this average, with all of them playing in their 40s. The oldest quarterback ever, George Blanda, was just shy of his 49th birthday when he retired! 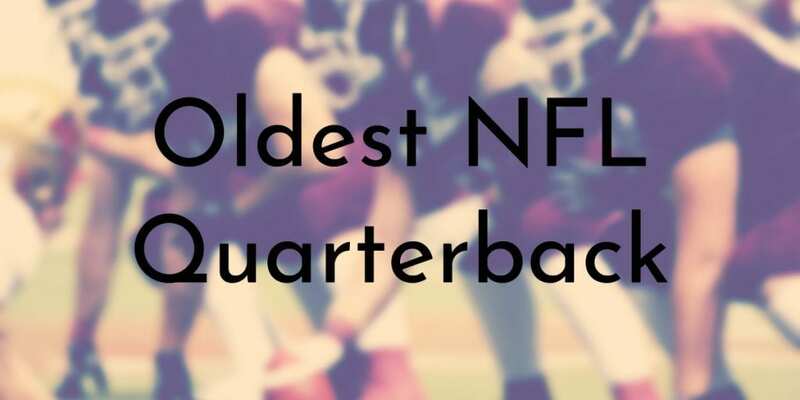 At the time of this writing (January 2019), this list is accurate and with the exception of Tom Brady, all of the oldest quarterbacks are retired. As the only active quarterback on this list, Tom Brady, who shows no signs of stopping any time soon, may end up moving higher up on this list someday. 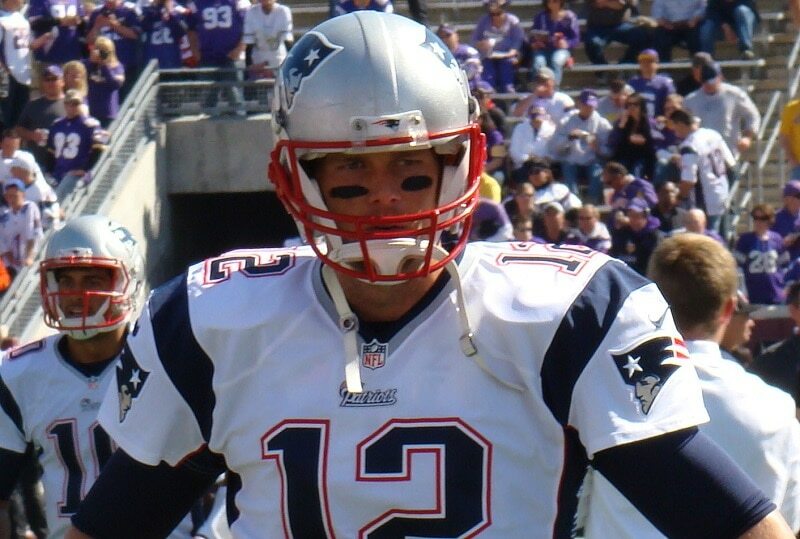 Although Brady is in his 40s, he is one of the NFL’s greatest quarterbacks, and is considered by many to be the greatest player ever. Brady has spent his entire professional career with the New England Patriots and has led his team to 5 Super Bowl wins. The Patriots and Brady have a shot at winning another Super Bowl as the team has recently advanced to Super Bowl LIII, where they will face off against the Los Angeles Rams. During his nearly 20-year career, Brady has set numerous NFL records, including the most games won by a quarterback (currently 207). Tom Brady currently holds 14 NFL records and has the potential to add at least five more records to his already impressive list. Brett Favre is one of the NFL’s greatest quarterbacks, but also one its most controversial. Favre was temporarily banned from the NFL in 1996 for abusing alcohol and painkillers. Toward the end of his career, Favre was once again in the national spotlight for misconduct, this time for allegedly sexually harassing the New York Jets’ “Gameday host” Jenn Sterger. Despite all of these controversies, on the field Favre was a phenomenal quarterback and still holds several NFL records. 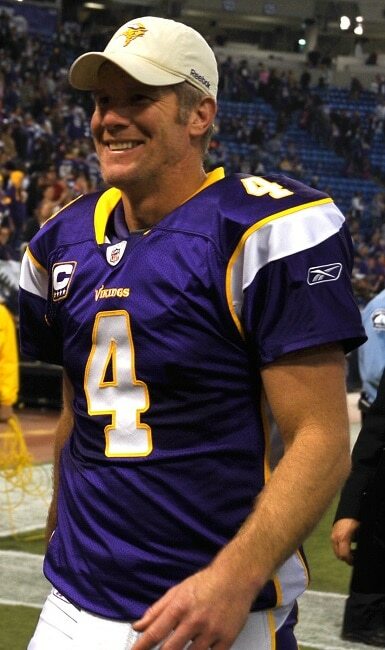 Favre’s NFL records include most career pass attempts, most career interceptions thrown, most consecutive starts by a player, most times sacked, and most fumbles. Brett Favre was inducted in the Pro Football Hall of Fame in 2016 and the year before, the Green Bay Packers retired Favre’s number (4) and add him to the Packers’ Hall of Fame. 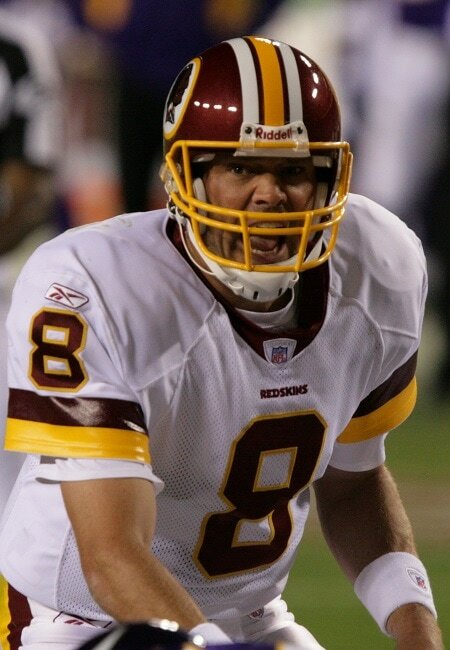 Mark Brunell is mostly known for his time as the quarterback for the Jacksonville Jaguars, but Brunell also played for the Green Bay Packers, Washington Redskins, the New Orleans Saints, and the New York Jets. When Brunell left the Jaguars, he held all of the franchise’s passing records. In 2013, Brunell was inducted into the Pride of the Jaguars, the team’s version of the Hall of Fame. Although did not play much while he was with the Saints, he became a mentor to the team’s starting quarterback Drew Brees. Brunell is a one-time Super Bowl champion because he was the backup quarterback when the Saints won against the Indianapolis Colts in 2009. Mark Brunell previously held the NFL record for most consecutive completions in a single game (22) before it was recently broken by Philip Rivers in 2018, who made 25 consecutive completions. 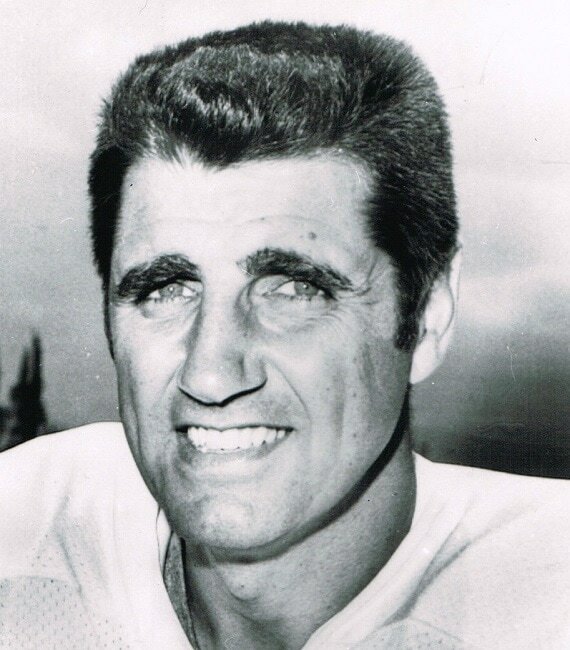 Earl Morrall started as a rookie with the San Francisco 49ers in 1956 and went on to play in the NFL for 20 years. During his career Morrall played as a starter as well as a backup quarterback. Morrall is known for being one of the greatest backup quarterbacks in NFL history. Most notably, Morrall subbed in for Bob Griese during the 1972 Miami Dolphins season, which was the only perfect season ever in the NFL. The Dolphins also went to that season’s Super Bowl, which they won. Morrall played in three additional Super Bowls and won all but one. During Earl Morrall’s 21 seasons in the NFL, he was part of 255 games, completing 1,379 passes for 20,809 yards and 161 touchdowns. Doug Flutie‘s professional football career spanned over 22 years, but he was not always playing in the NFL. Flutie started out with the United States Football League before being picked up by the Chicago Bears in 1986. After staying in the NFL for a few short years, Flutie left to play for the Canadian Football League (CFL) for the next decade. Flutie returned to the NFL in 1998 when the Buffalo Bills signed him during the offseason. Initially, Flutie was not the Bills’ starting quarterback, but he was put in after Rob Johnson was injured. Flutie made an explosive comeback and Bills had a great season. Flutie ended up staying in the NFL until 2005, when he was 43 years old. Vinny Testaverde was a quarterback for 21 seasons and started his professional career in 1987. 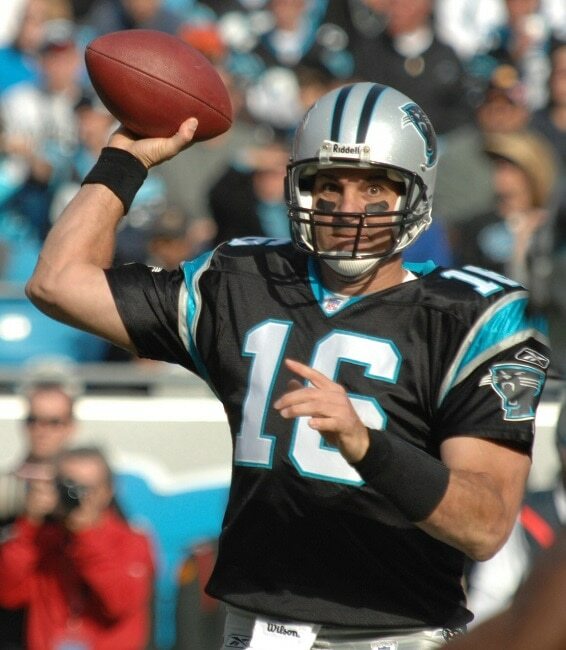 During his time with the NFL, Testaverde played for seven different teams, beginning with the Tampa Bay Buccaneers and ending with the Carolina Panthers. Although Testaverde had such a long career, he was not necessarily a notable quarterback in terms of statistics or wins and losses. When Testaverde retired, he was 6th in career passing yardage, 7th in career touchdown passes, 6th in career completions. Vinny Testaverde’s 123 losses as a starting quarterback is an NFL record, and his career regular season winning percentage of 42.3% is the lowest of any quarterback with at least 70 wins. 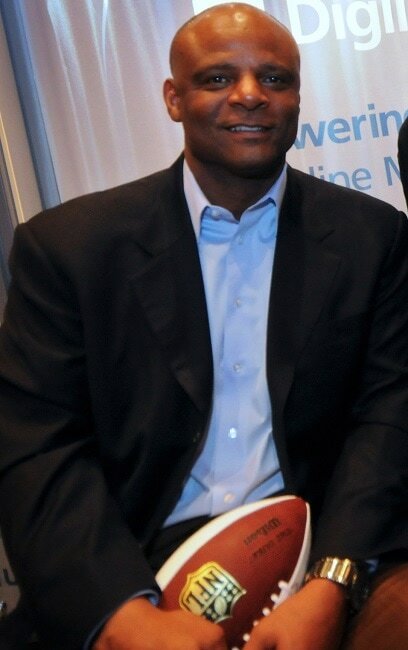 Warren Moon had an exceptional career not only in the NFL, but in the Canadian Football League (CFL) as well. Before joining the Houston Oilers in 1984, Moon spent five seasons with the CFL’s Edmonton Eskimos. During his time with the Eskimos, Moon led his team to win a record five consecutive Grey Cups. Moon continued to be an impressive quarterback when he joined the NFL and within a few years, Moon led the league with 4,689 passing yards, attempts (584), completions (362), and touchdowns (33). In 2006, Moon was inducted into the Pro Football Hall of Fame, becoming the first African American quarterback as well as the first undrafted quarterback to do so. 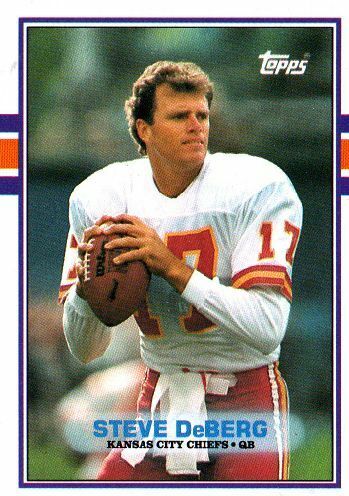 Steve DeBerg may not have been one of the best quarterbacks in NFL history and he may not have ever won a Super Bowl, but he is known for being the oldest starting quarterback. After retiring in 1993, DeBerg came back for the 1998 season as a backup for the Atlanta Falcons. 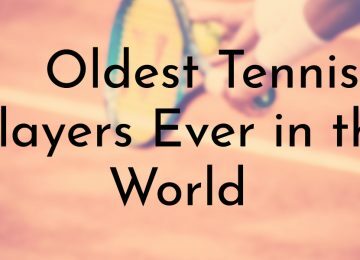 On October 25th, DeBerg played his only game that season and final game ever at the age of 44. Technically, DeBerg was part of the Falcons team that went to Super Bowl XXXIII, but he did not play in the game. 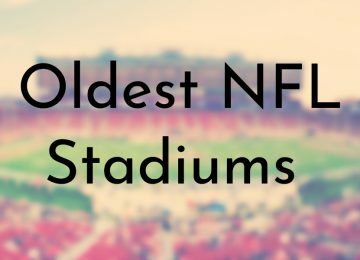 At the time, DeBerg was 45 years old, making him the oldest player on a Super Bowl roster. DeBerg had a brief career as a coach for the Arena Football League’s Indiana Firebirds and Tampa Bay Storm in 2004. 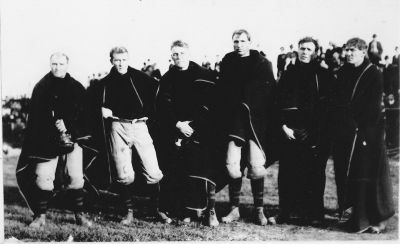 John Nesser’s time playing professional football predates the formation of the NFL, however he and his six brothers are often mentioned in NFL history. At the time, the Nesser Brothers were the most famous football family in America. Nesser played for the Columbus Panhandlers, which is cosidered one of the NFL’s first teams. Due to the differences in football culture during the 1920s, Nesser isn’t widely recognized as a quarterback – he is listed as only a tackle guard – despite records illustrating that Nesser lined up in the QB position up to his year of retirement in 1921. John Nesser was the oldest quarterback in NFL history until George Blanda broke his record in the 1970s. George Blanda retired from playing professional football at the age of 48, which makes Blanda the oldest NFL quarterback ever. While Blanda was primarily a quarterback and placekicker, he was also used from time to time as a linebacker during the early years of his career. 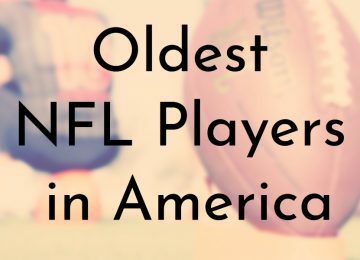 In addition to being the oldest QB ever, Blanda also holds the record for being oldest professional football player in NFL history. 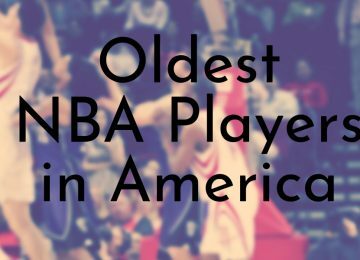 Blanda’s career lasted for 26 seasons, which is another record. 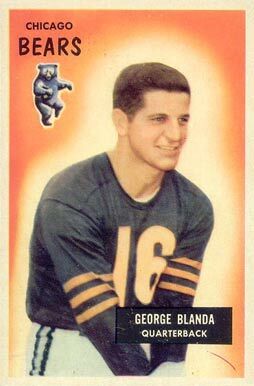 In 1959, Blanda briefly retired following an injury that made him less desirable as anything other than a kicker. However, when the American Football League was established in 1960, Blanda was given a second chance and he played for another 15 years.